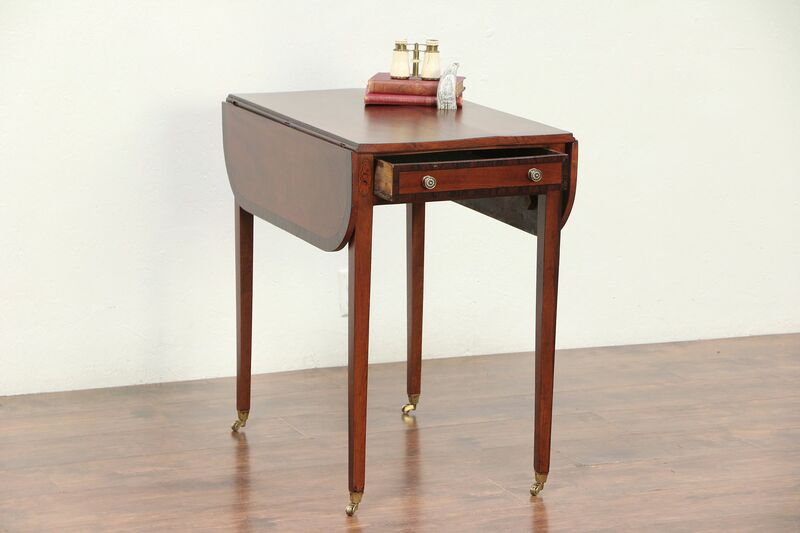 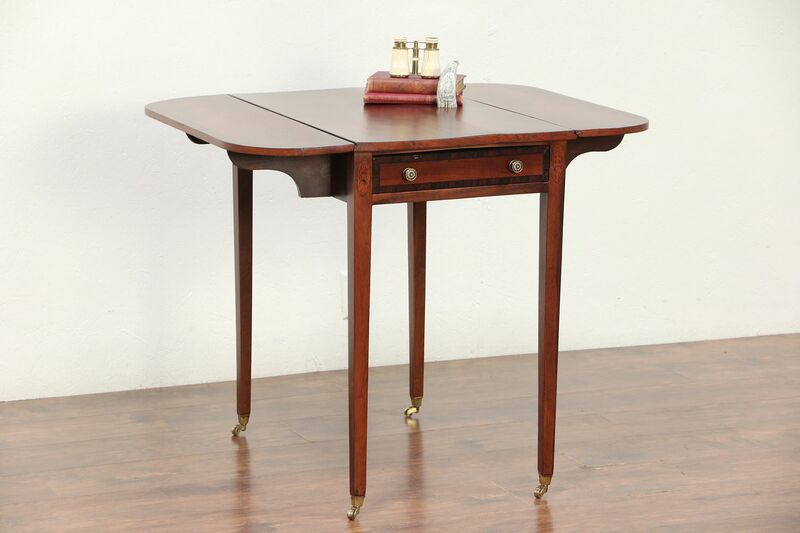 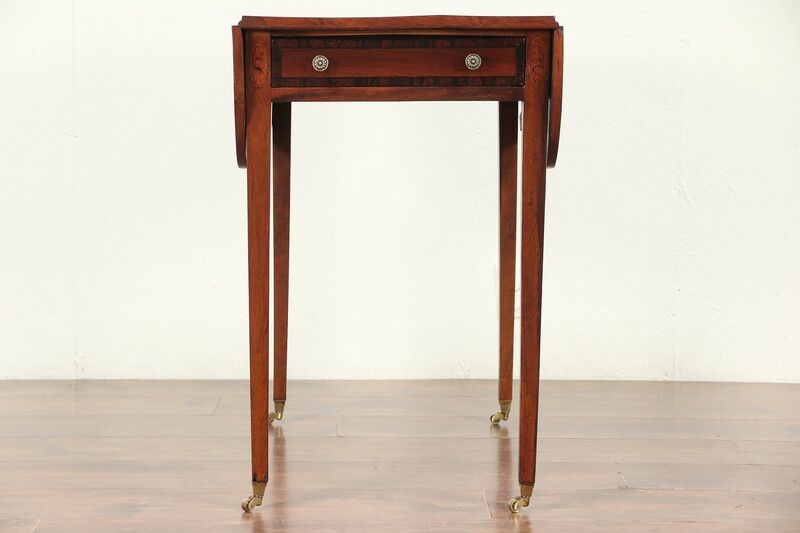 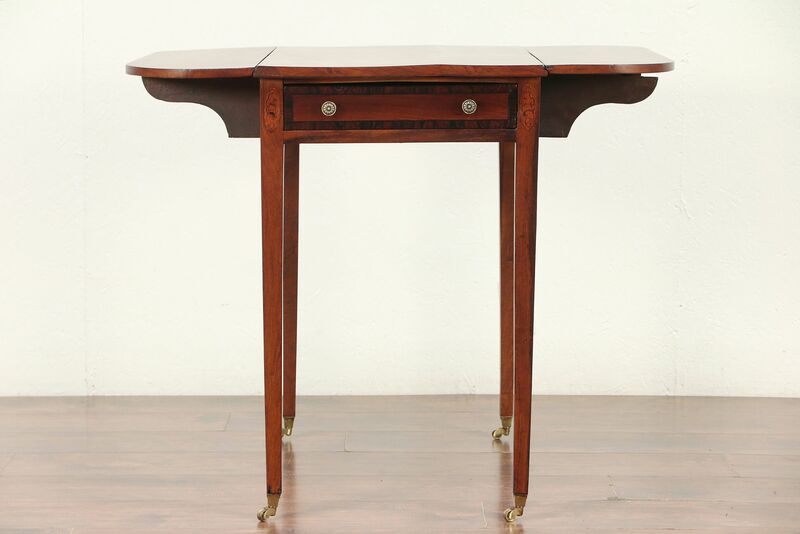 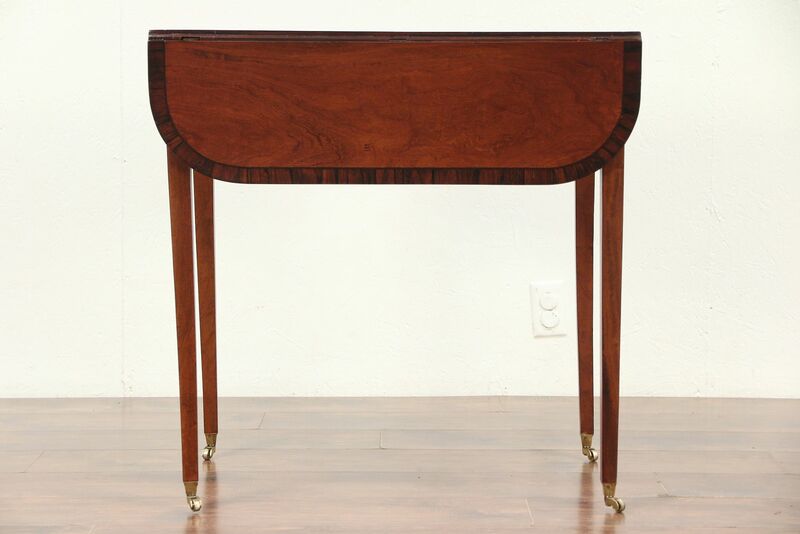 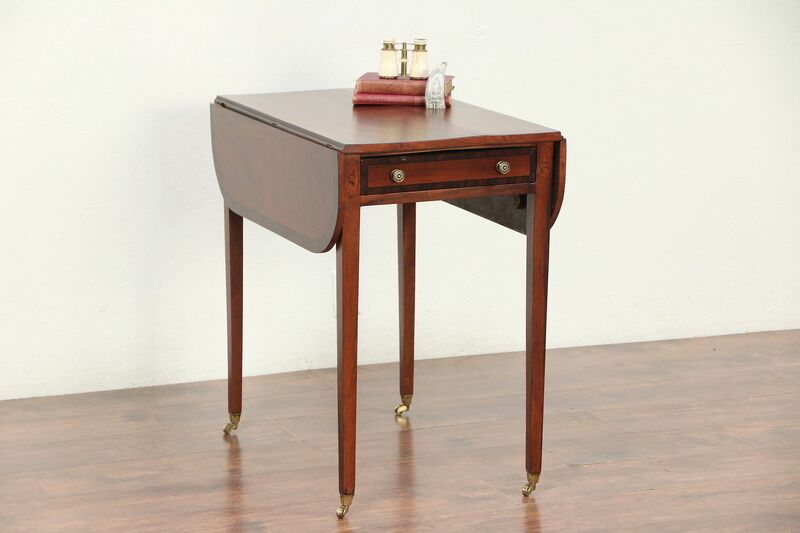 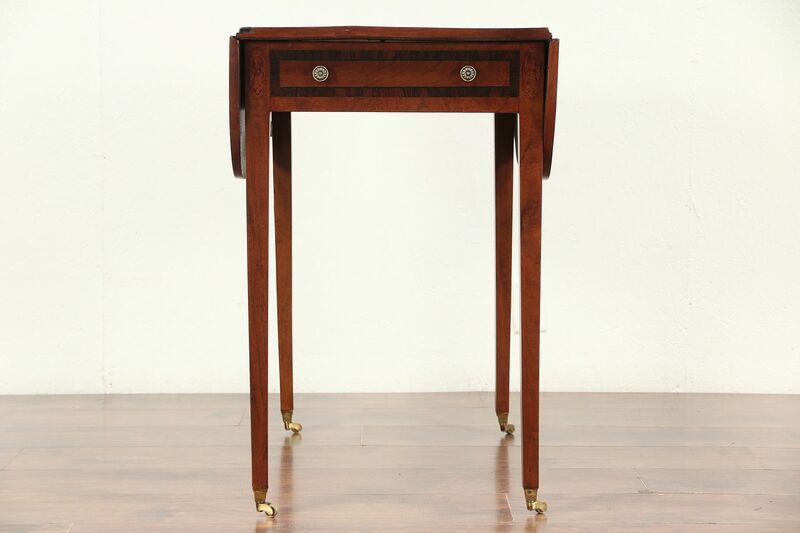 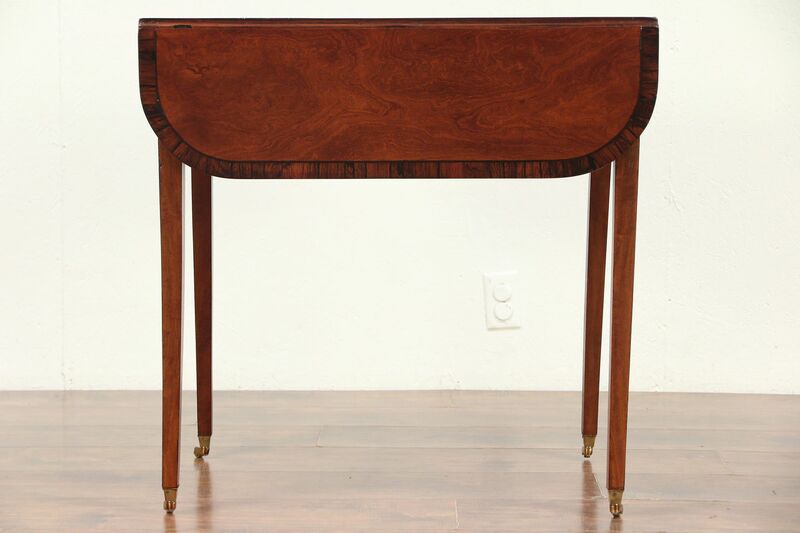 This Regency "Pembroke" dropleaf table from England has many uses as a breakfast, sofa or lamp table. 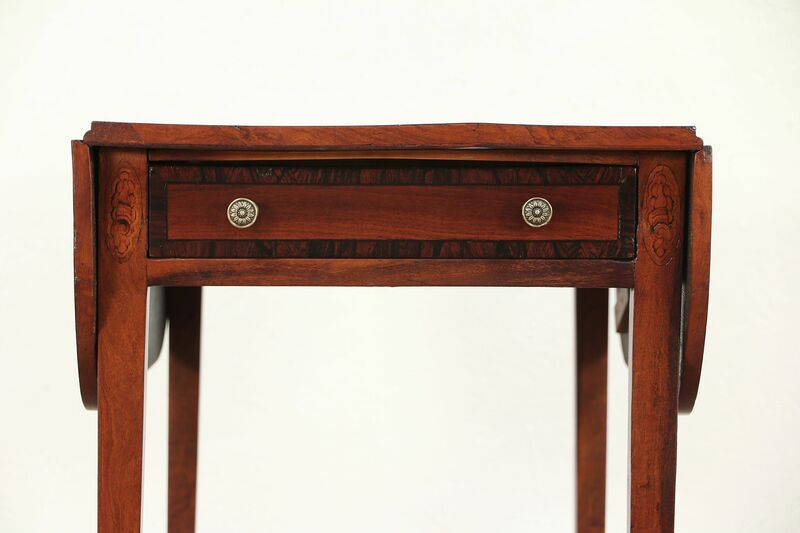 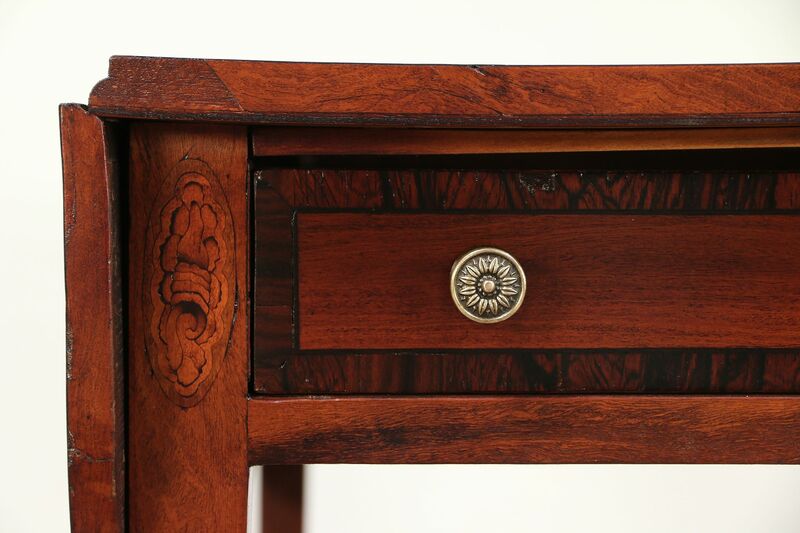 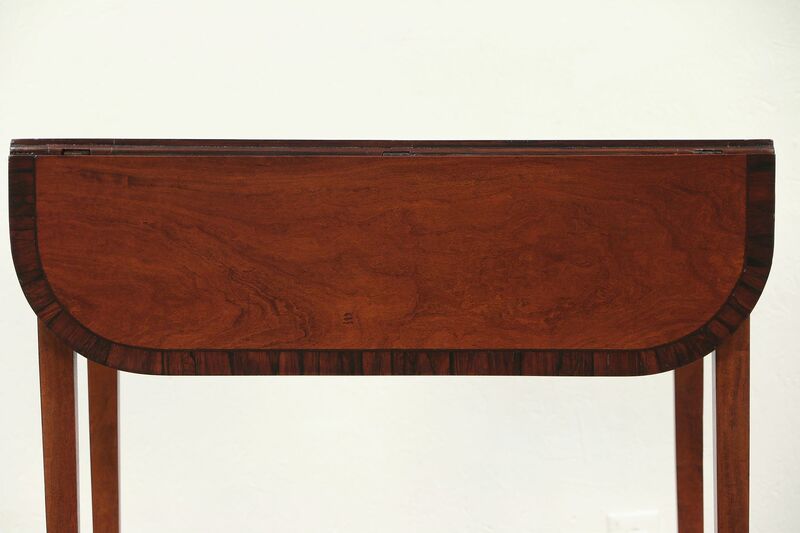 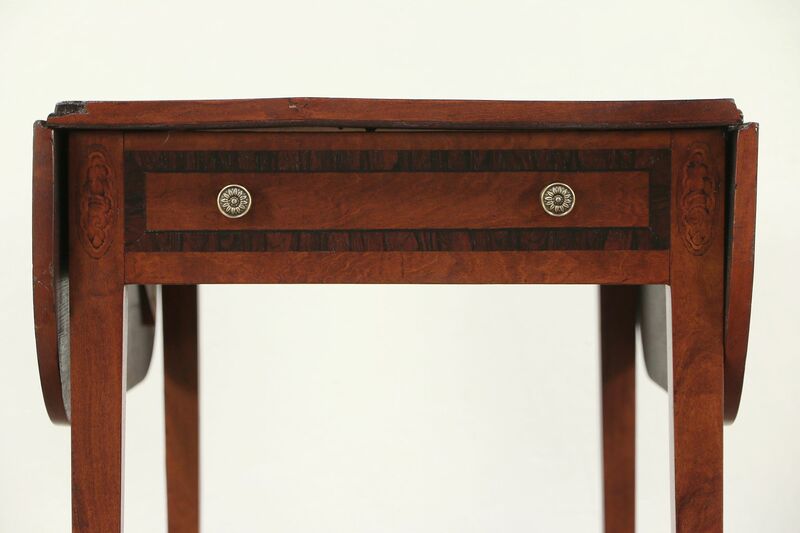 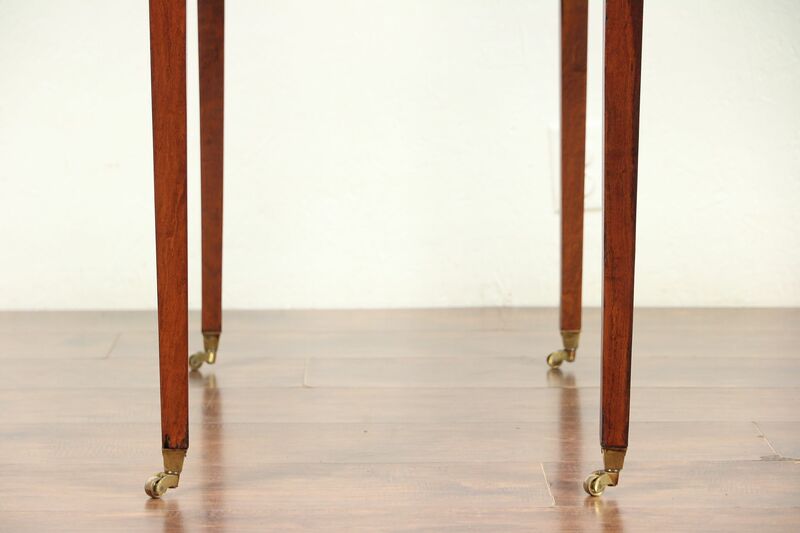 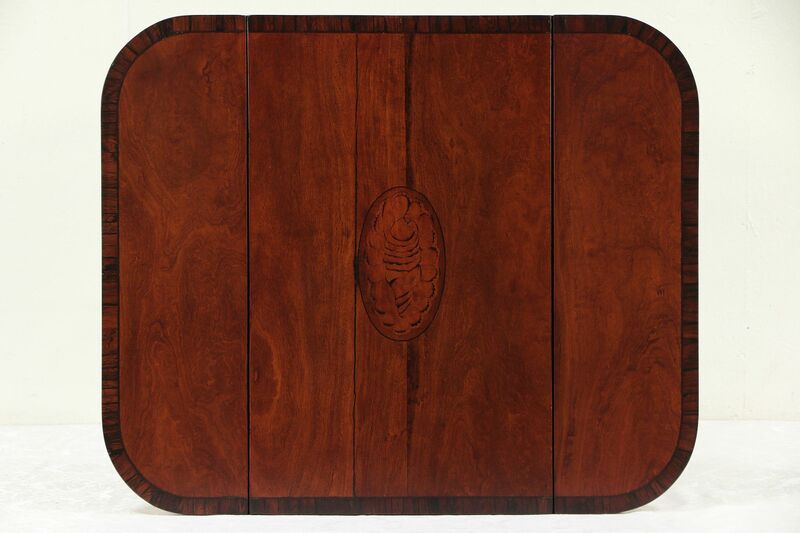 Dating from about 1825, figured mahogany is inlaid with genuine rosewood banding and an inlaid marquetry shell design. 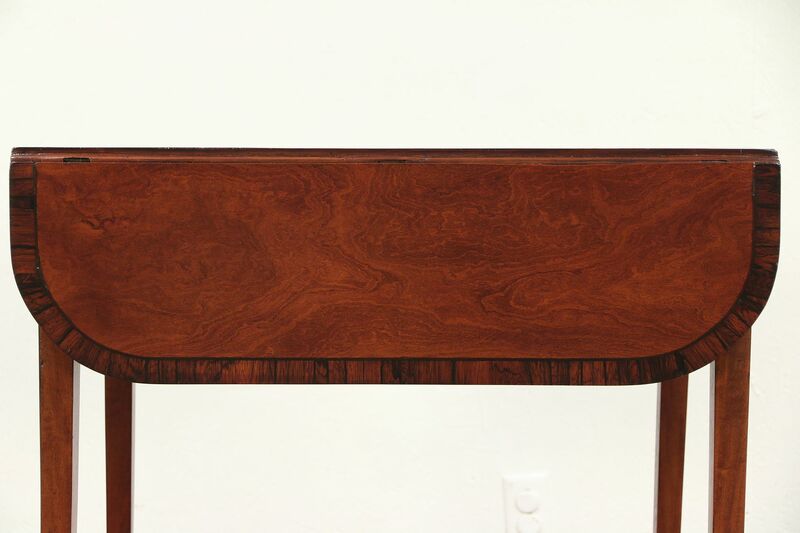 The restored finish is in excellent condition, preserving warps and shrinkage separations from age, see photos. 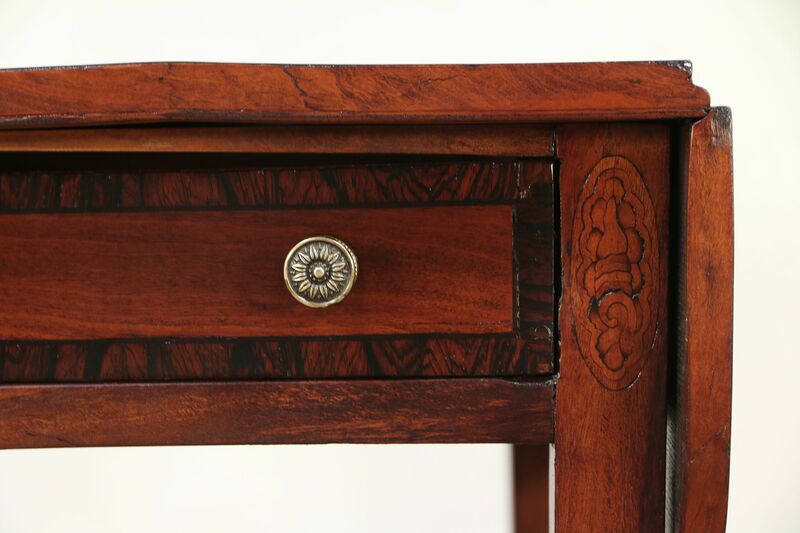 A drawer has solid oak sides with hand cut dovetail joints on this classic antique furniture. 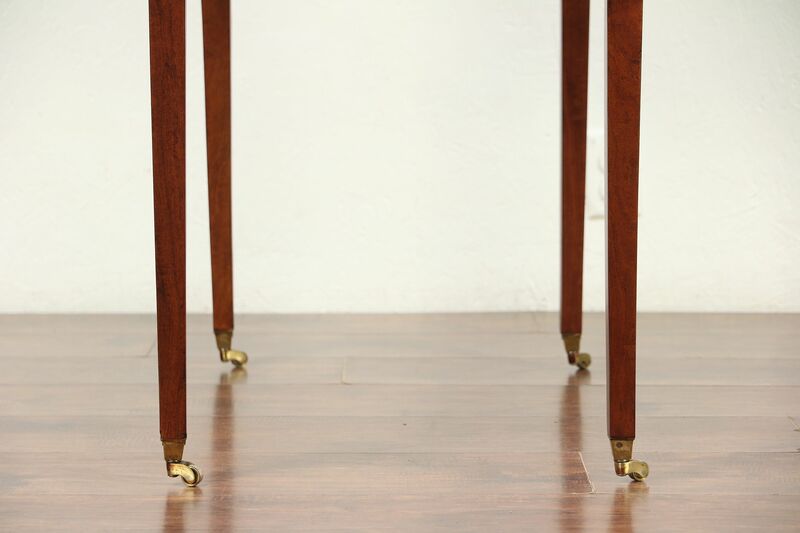 Wheels and pulls are solid brass. 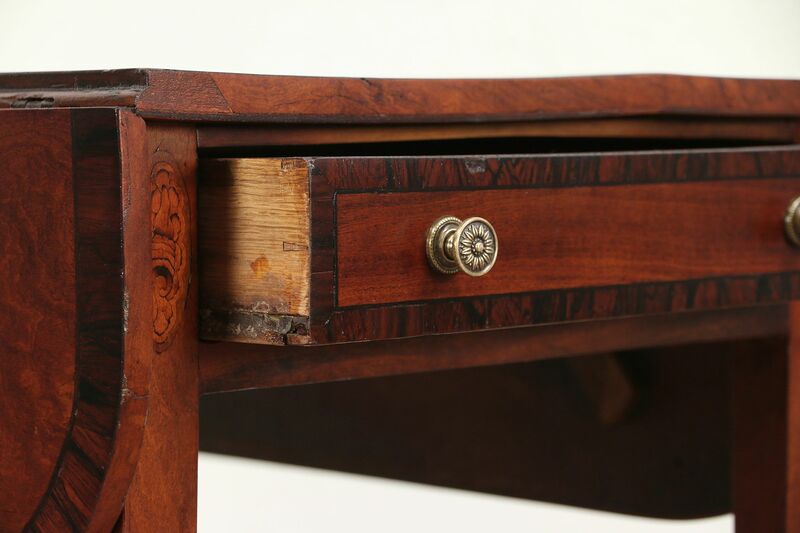 Dropleaf sides rest on carved wooden hinge supports. 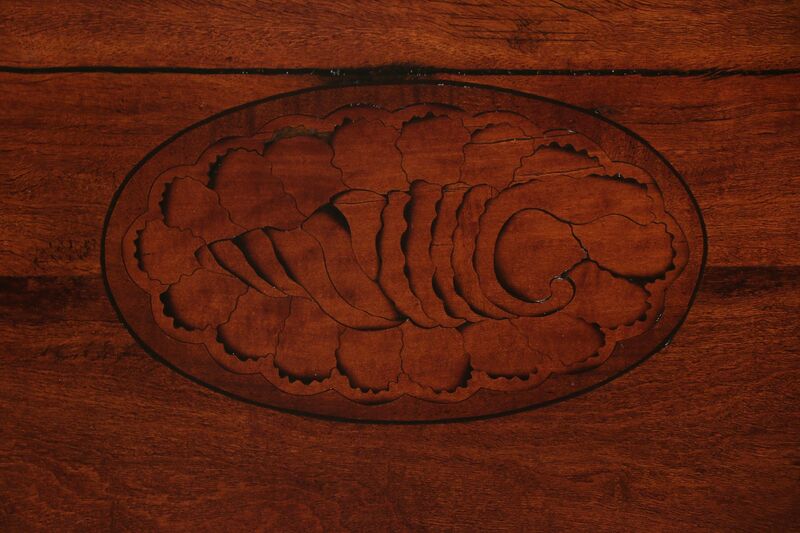 Measurements with dropleaves down are 19" wide, 30" deep and 29" tall, with both leaves raised, width is 34 1/2."